Complete low pressure centrifugal range with forward curved impeller. 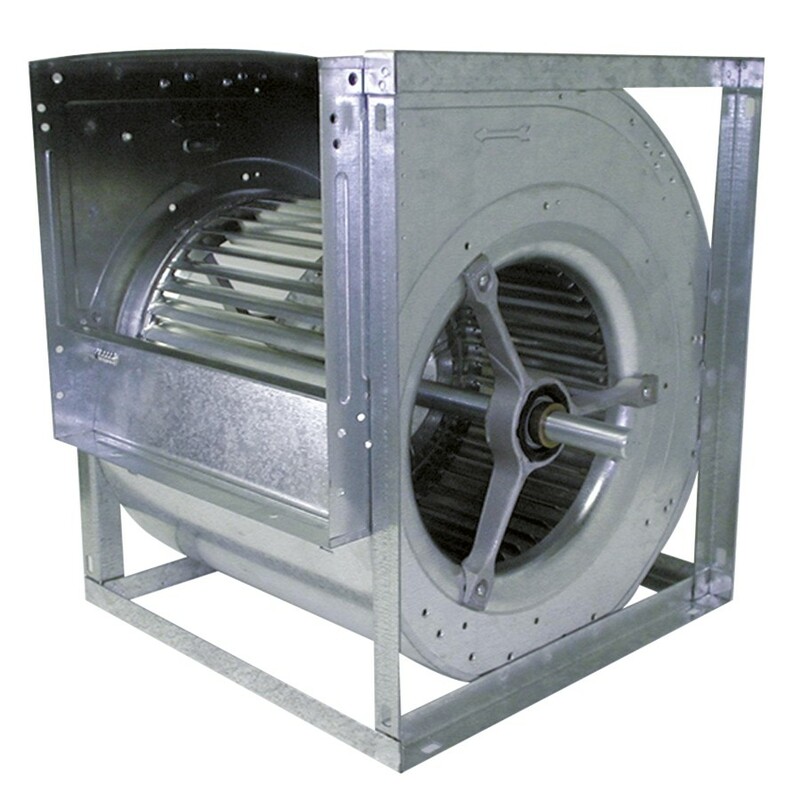 The range comprises different versions and sizes of double and single inlet fans. 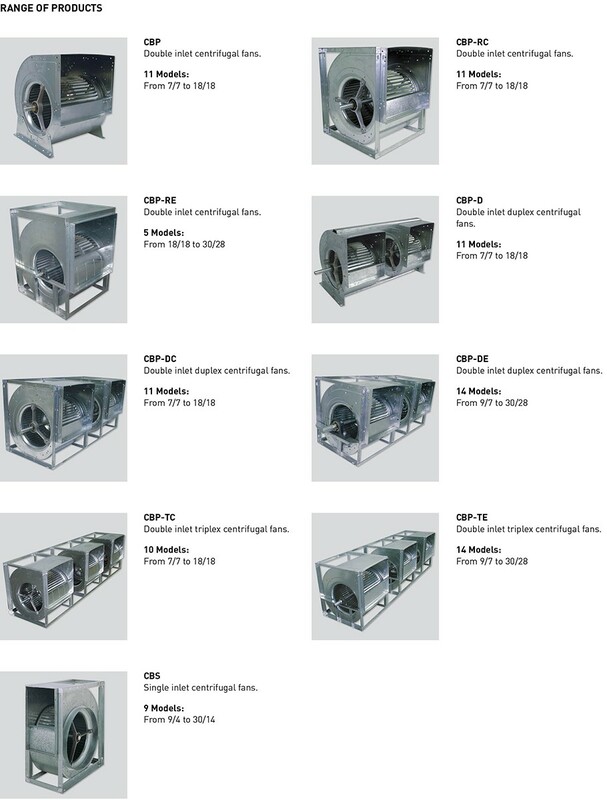 All these low pressure centrifugal fans are designed for belt drive operation. 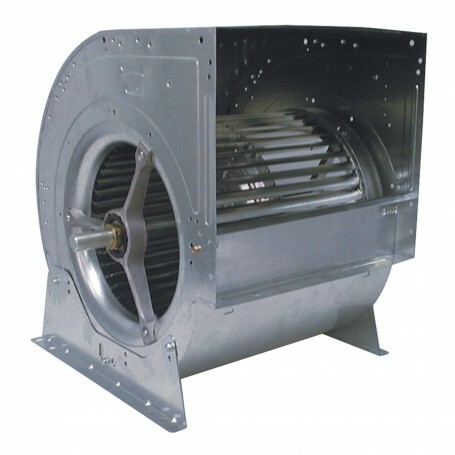 All the fans are manufactured from galvanised sheet steel and fitted with impeller manufactured from galvanized sheet steel. Mounting feet as accessory allowing 4 different positions (basic version). The fan can be supplied with motor and belt drive mounted. Belt-drive fan-deck assemblies available with etiher a fan scroll or separate base frame mounted motor configurations. One piece die-cast ball bearing support.